There are a lot of great comic book series out there, and they all stick in your memory for totally different reasons. Some of them will make you think about important and topical issues, while others do a brilliant job with drama and emotion. Some comics, however, focus on keeping a smile on your face the entire time. Well, Skottie Young and Jean-Francois Beaulieu’s I Hate Fairyland is definitely one of those comics that aims to make you grin. This Image Comics title is so impressively fun that I can’t stop smiling and laughing whenever I read a new chapter. Every issue is overflowing with creativity and such enjoyable silliness. So, it should come as no surprise that the seventh issue – which, at the time of this writing, goes on sale tomorrow – continued to remind me why I love this beautiful, clever, and hilarious series so very much. Before we step into the future – will there finally be legitimate hover boards in 2016? – it’s time to reflect on the past. 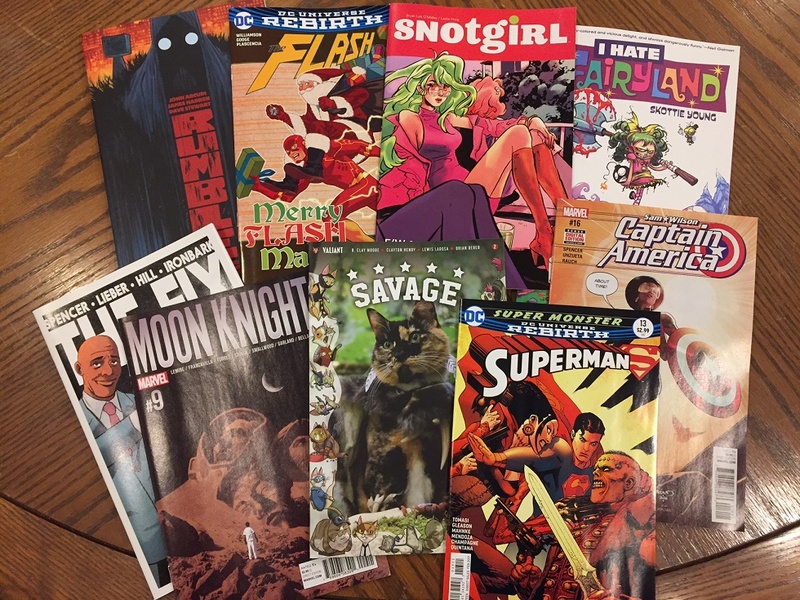 In 2015, quite a few awesome comic book series were published. 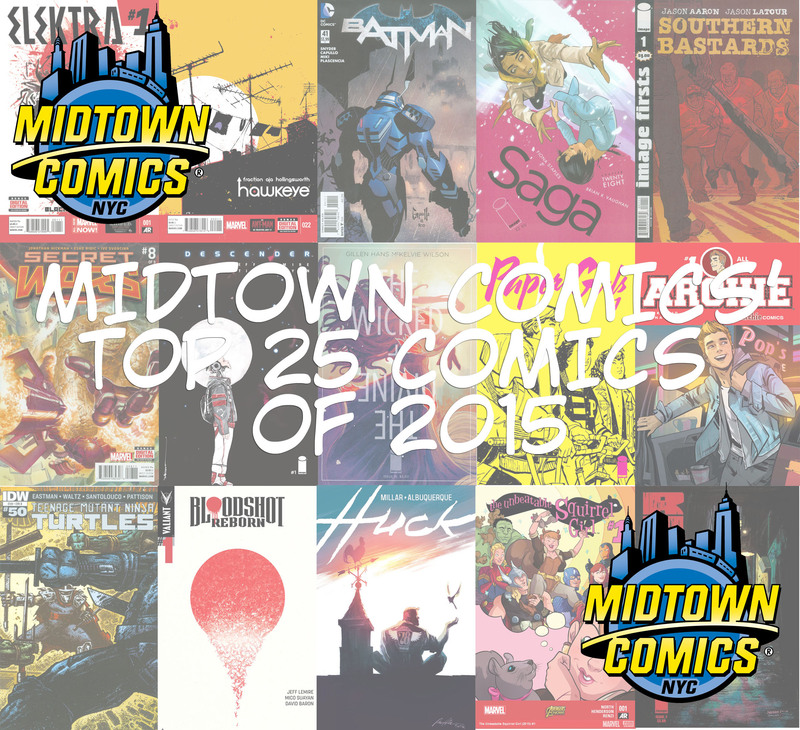 There are several comics that won us over for totally different reasons, but we’ll keep it concise and take a quick look at just 25 of our favorite comics from 2015 (plus 5 honorable mentions). After all of the staff picked their favorites, we went ahead and ranked them. Obviously, there’s plenty of great comics out there and the list is sure to fluctuate from person-to-person. So, if your top choices aren’t below, go ahead and give them some love in the comments!